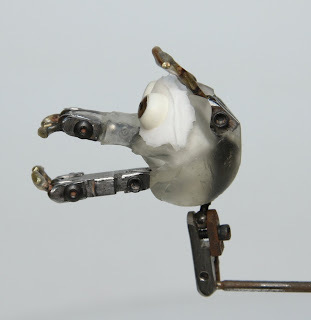 This is the Head Armature for the Glenn Martin Monkey puppet. Some B&S action in the jaw, lips and eyebrows. This guy was a very successful puppet, received well by animators and client alike. *Update! Here's the finished puppet! This is brilliant im currently trying to find a head armature solution for my orangutan and chimpanzee stop motion puppet, i was just wondering what is the actual white skull material called? 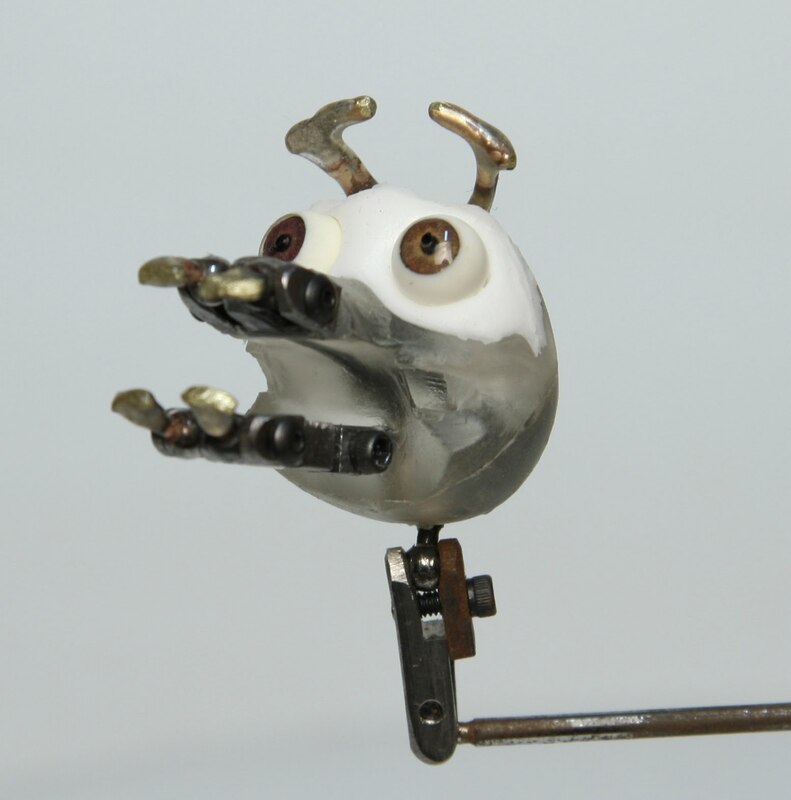 The Clear part is made from an epoxy called Polygem #1319, cast around the armature. The eye orbits are just plain old silicone. Aww cool thanks for replying :) , Im making a stop motion orangutan and a stop motion chimpanzee this year and its my last year at uni so i want to make it look as professional as possible i was wondering what are the lip rigs made out of and are they simply soldered to the balls on the joint? The lip joints themselves are machined Stainless steel. The balls are also stainless that I drill out on a lathe, then solder the brass "T-Bars"into those holes. These were made for a large production so they were gonna see some heave, extended use. You could get away with wire for a short project. I'd recommend making a back-up head or skin if you go that route. Metal fatigue is unavoidable and those wires will break eventually. Unless you're really lucky, the face would never look the same if you were to try to dig the wires out to replace them.